Growth form: Annual or perennial herb. Flowering. Mar–Apr. Status: Native. Common. Also recorded: Bahrain, Kuwait, E Saudi Arabia, UAE. 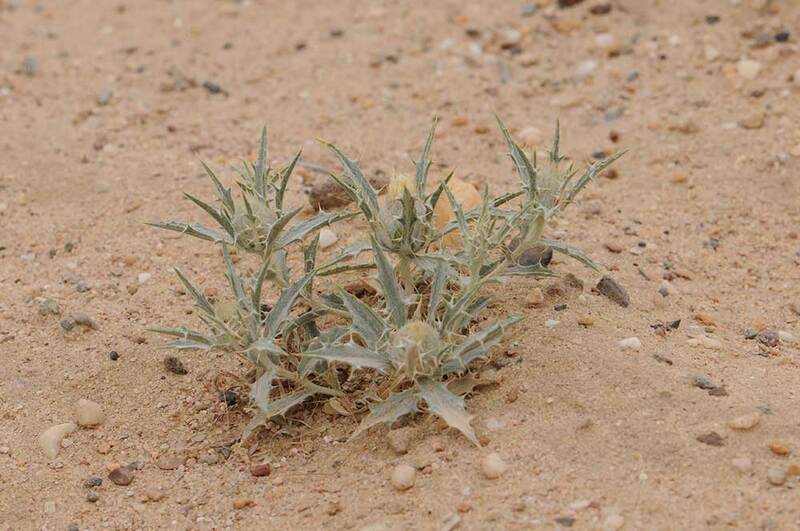 Habitat & distribution: Occasional in sandy habitats. Previously recorded from Al Karaanah, Al Wakra and Wadi Al Banat and recently from Al Khorh and other parts of W Qatar. Uses: El Amin reported that it is not liked by animals but eaten by camels when nothing else is available.